8-10. Hundreds more buyers are expected to register in the countdown to the expanded polished diamond fair. 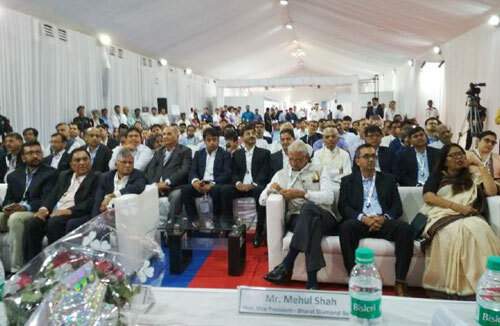 The inaugural show, held from April 23-25, was attended by more than 1,000 visitors from India and across the world who did business with 100 Indian exhibitors of polished goods. In addition, the BDB is providing flight tickets to selected buyers to create more sales opportunities for the 100 Indian polished diamonds companies who will be exhibiting at the show. The buyers who have been selected are from Turkey, Thailand and India. The bourse will also be providing 150 rooms for international buyers at a hotel close to the showgrounds. Registration for the show is available at www.bharatdiamondweek.org and the BDB is recommending that members of the diamond community worldwide do so as quickly as possible to avoid disappointment.